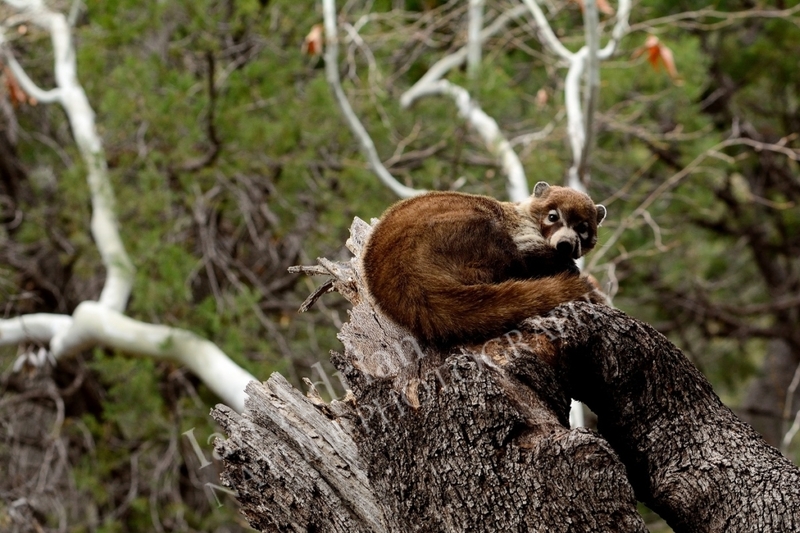 One of the most ecologically-diverse regions in North America, Southern Arizona boasts more species of many life forms than anywhere else, north of Mexico. Among them are bees, rattlesnakes and, you guessed it, hummingbirds. Just an hour south of Tucson, the Santa Rita mountain range is considered one of the aforementioned sky islands. An abundance of water run-off from the towering peaks has resulted in a plethora of life. 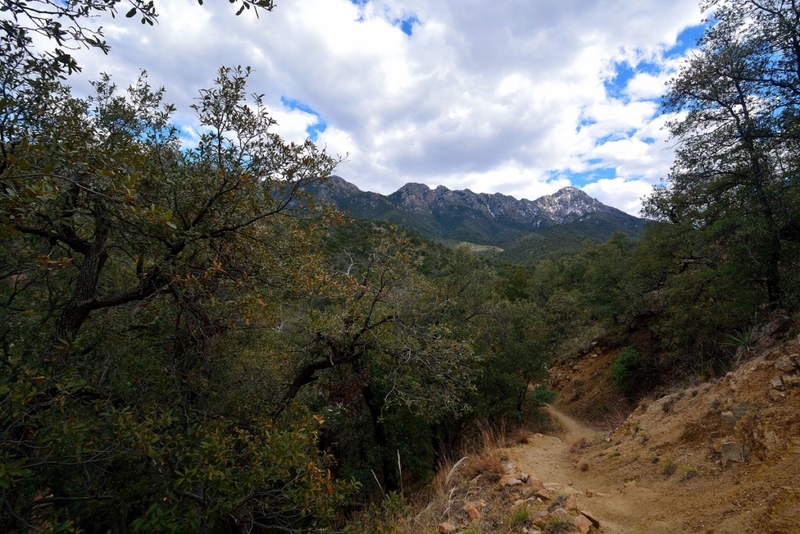 Nestled in the midst of these formidable mountains is the world-renowned Madera Canyon. 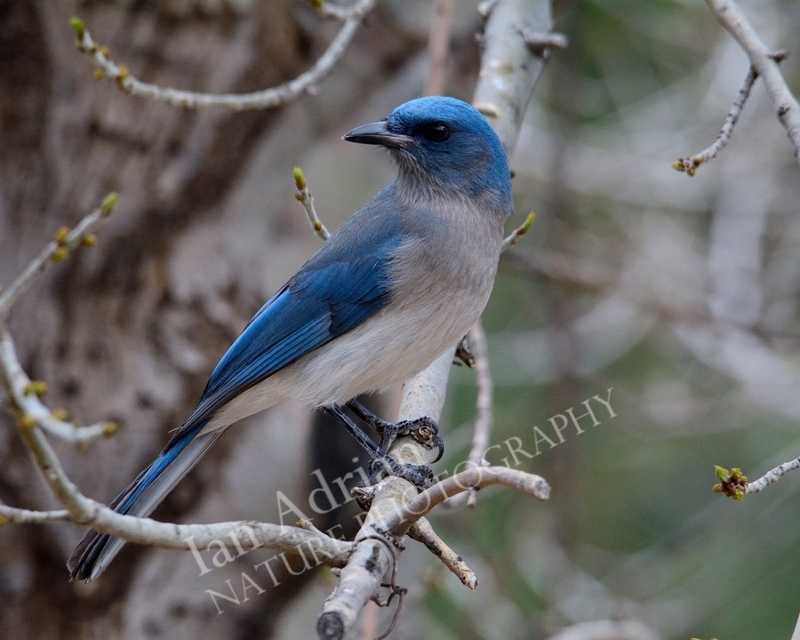 A birding mecca, Madera hosts a number of rare species (and droves of more-common ones). Some of it’s specialties include elegant trogons, painted redstarts, spotted owls, and at least 11 different hummingbird species. In addition to the birds, a number of unique reptiles, amphibians, plants, and mammals can be found here. 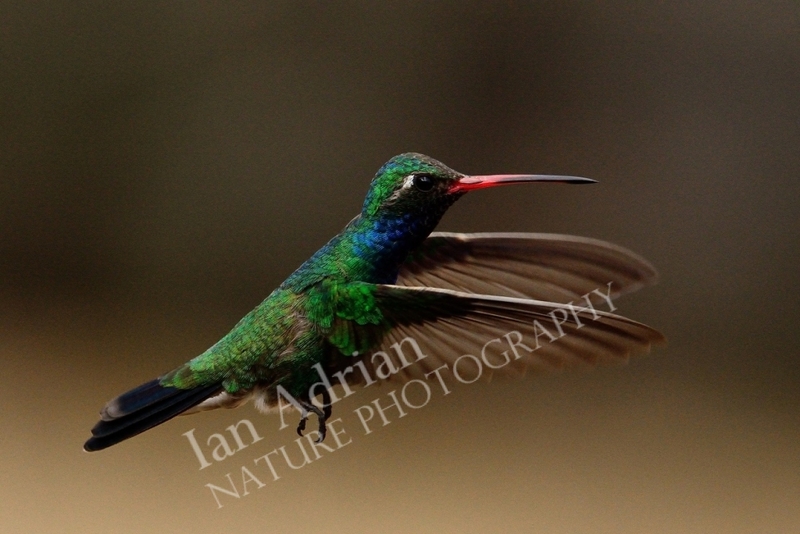 Broad-billed hummingbird posing for the camera. Upon arriving at the canyon, I immediately visited a site known well for trogon sightings. Several birders offered disgruntled reviews on the day’s success (or lack thereof). Rather than opting to gamble the day away in the hope of seeing this elusive green bird, I proceeded to the Santa Rita Lodge, where I stayed for a bit. A buffet of different seed entres, combined with a conspicuous line of hummingbird feeders attract quite a few birds, making this lodge a must-stop location! Although this approach far too-closely resembles wildlife baiting in my photography rulebook, it’s difficult to resist the unusual species (hummingbirds, in particular) which can be difficult, bordering on impossible to otherwise photograph. Jay and woodpecker having a small dispute. Soon after my arrival at the lodge, a jay’s piercing alarm alerted the preoccupied flock of trouble. 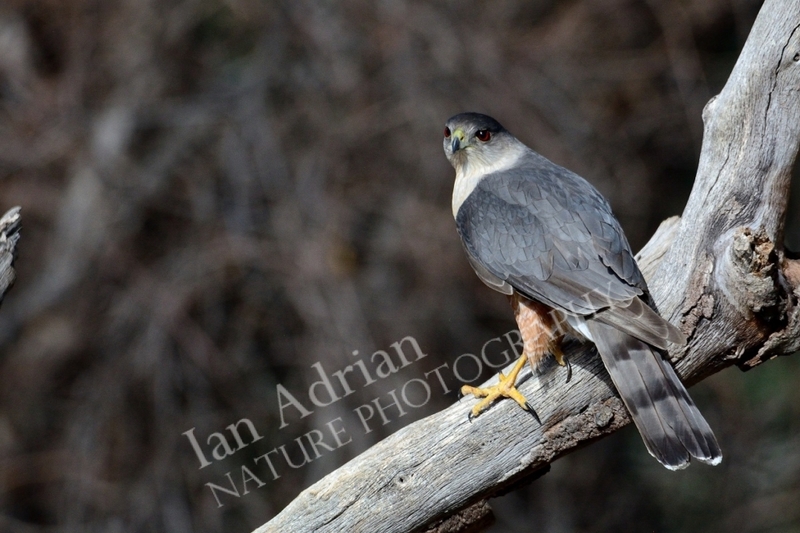 Within moments, all had scattered just before an accipiter (sharp-shinned or cooper’s hawk) swooped in. It sat dejectedly for a few moments, lamenting the failed attempt at bird-hunting. The raptor soon flew away, the other birds, in short order, began to trickle back. As I sat, watching the commotion, groups of birders continued to arrive. I soon grew weary of the crowd, opting to explore the forested canyon. The stream was surging at full-force, it’s banks lined with enormous, ancient sycamores, trees that had been here long before the access road had even been conceived. After a brief spell of traipsing through this enchanting woodland, I noticed a large, brown shape curled up atop a halved tree that overlooked the water. Upon closer investigation, I realized this shape was a sleeping coatimundi! A member of the raccoon family, this handsome animal tends to avoid the hot desert areas, more often encountered in forested habitat. 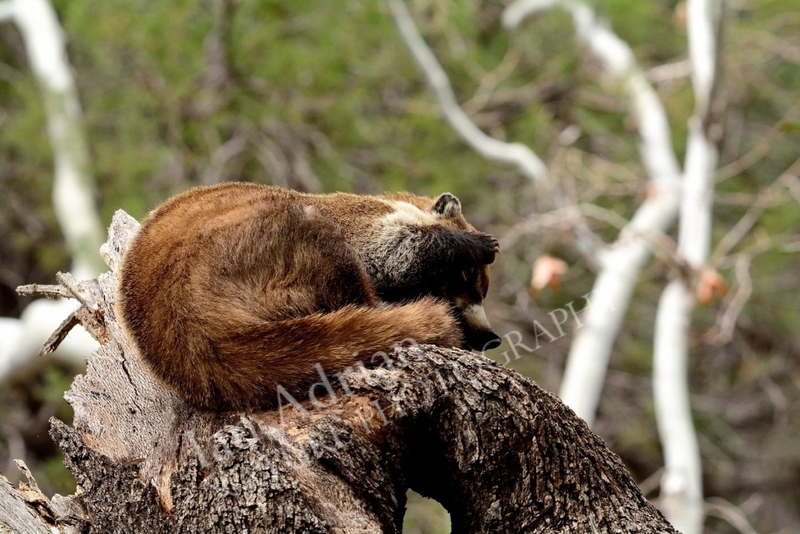 Coatimundi sleeping in it’s forest home. 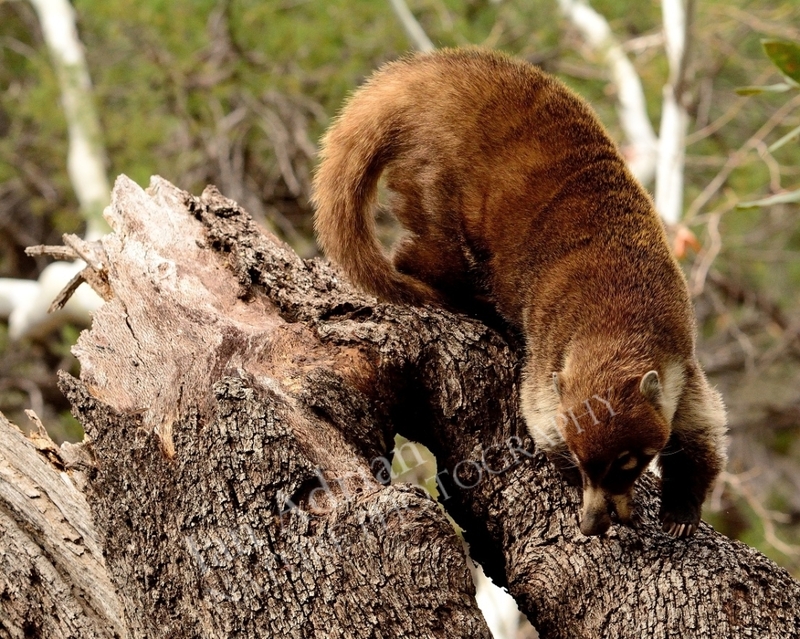 Largely unconcerned by my presence, the coati eventually raised it’s head to briefly assessing me before exerting an exaggerated stretch, proceeding to climb halfway down the fallen tree trunk. Stretching a second time, it went to the bathroom, climbing right back to bed and returning to sleep. Groggily opening it’s eyes, the coati assessed me for a few moments. The excitement over, I wandered along the stream for a couple hours, in time returning to the Santa Rita Lodge. Enticed by the hummingbirds (especially the large, regal Rivoli’s), I spent another 2-plus hours, watching and photographing. By 4:30, the less-than-remarkable light had become downright poor. This was ideal timing, as I soon needed to return home to feed my kitties, regardless, and departure is always the most difficult part of my adventures. Another spectacular day of exploring the beautiful Madera Canyon, and I find myself already eagerly anticipating the next trip! Hepatic tanager, an unusual species to observe raiding a bird feeder. 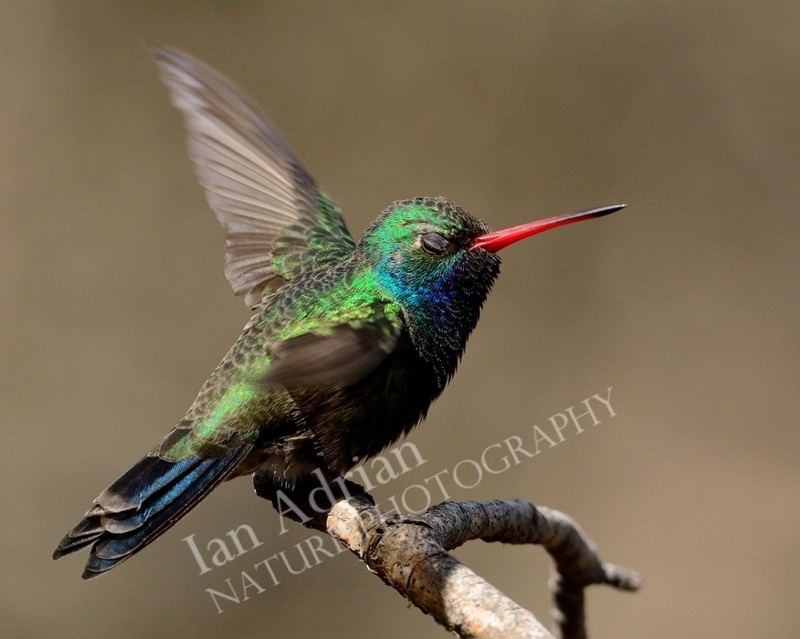 Broad-billed hummingbird preparing for flight…..with it’s eyes closed? 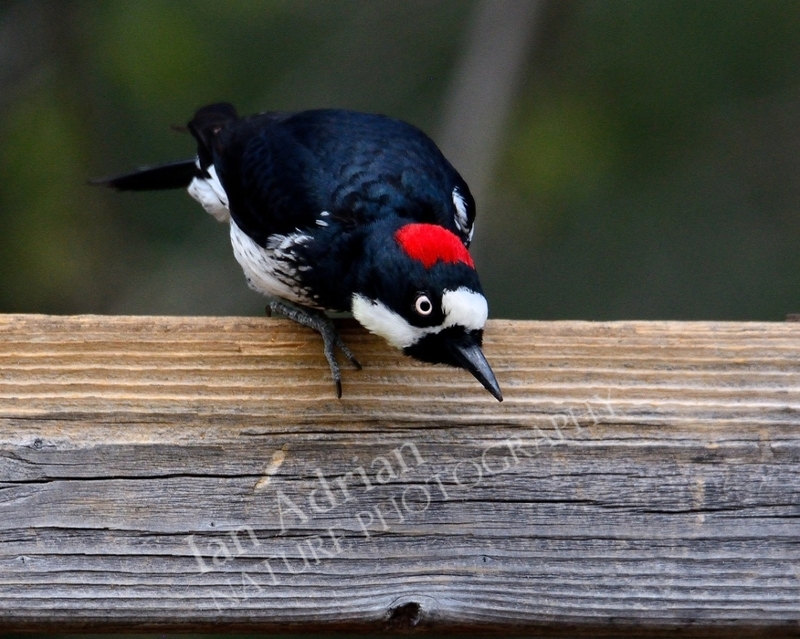 Acorn woodpecker, preparing for a dive. 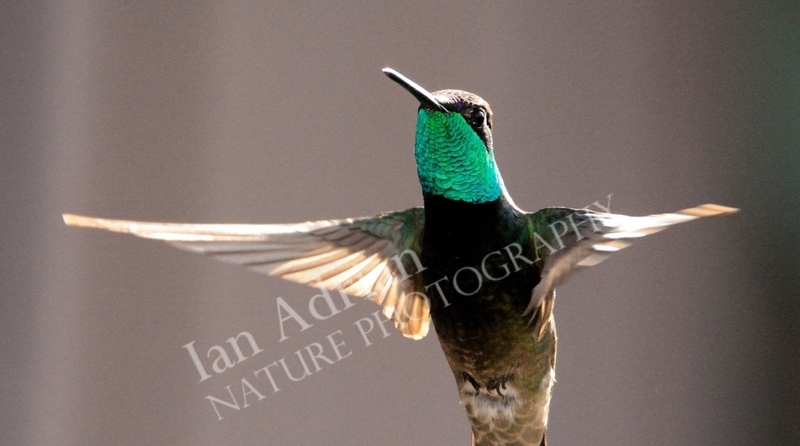 Anna’s hummingbird, the one species which is far easier to encounter in the desert lowlands.